GROW has quickly grown its platform to match recruiters and job applicants using sophisticated AI tools in Japan. 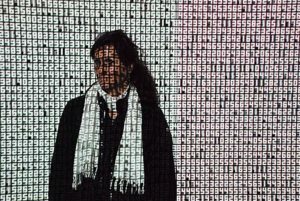 A no-fee-to-applicants model has allowed for quick expansion and increased the quality of the platform (by providing vast amounts of training data for its algorithms). Should GROW consider geographic expansion? Recruiting talent, a traditionally time and labor-intensive activity (costing some firms up to $250K per candidate), is being disrupted by a crop of firms leveraging artificial intelligence to better match candidates to jobs. Some firms are focused on reducing process time (e.g., reading resumes and essays through the use of techniques like Natural Language Processing), others are working towards better recruitment outcomes (i.e., reducing bias in hiring, widening the funnel of eligible applicants) — GROW, a division of Japan’s Institution for a Global Society (IGS), is trying to do both. GROW is a two-sided platform, with recruiters on one side and job applicants on the other. Recruiters at Japan’s major firms are inundated each year, as Japanese college graduates (~650K per year) fire off ~50-100 applications each. Processes designed to filter applications as efficiently as possible mean that many qualified candidates from non-traditional backgrounds don’t have a chance (to both the candidates’ and the firms’ detriment). In a recent survey of recruiters by Ideal, 56% say their hiring volume will increase this year, but 66% of recruiting teams will either stay the same size or contract. Enter GROW. 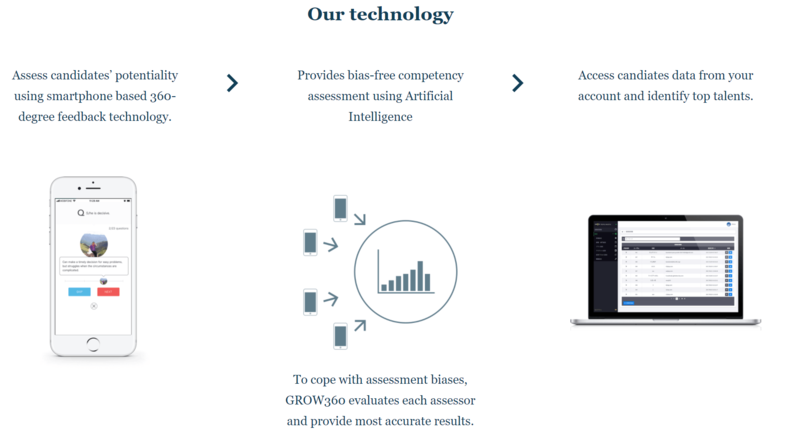 GROW provides a competency assessment (conducted by peers) and a personality self-assessment – the data from these assessments, both the inputs and how the inputs are inputted (e.g., how quickly, with what confidence, with what variability) feed into an algorithm to predict likelihood of fit with a given firm – firms can subscribe to these feeds to identify high potential candidates. GROW is scaling quickly (going from 2K to 74K job applicants in 6 months) by maintaining free access to job applicants and capturing limited initial value from recruiters. Getting recruiters from a few key firms (and heavily publicizing the commitment of those firms) started the flywheel of their success – once applicants saw these firms on the platform they were more likely to join (crating cross-side network effects), and in turn their peer applicants were more likely to join (i.e., there were significant same-side network effects from having peers able to rate you on the platform). More firms joined as they saw the base of applicants growing. Presumably, as GROW has ingested more data from both recruiters and applicants, it has been able to improve its algorithms, and thus the quality of its platform, building a competitive advantage over potential challengers (of which there are currently no credible ones in the Japanese market). A more short-sighted approach to scaling (e.g., charging fees to applicants) could have led to a significantly slower growth trajectory and limited their ability to build a quality advantage. 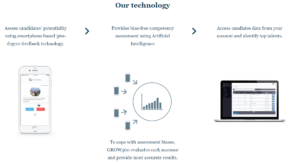 It is difficult to imagine a competitor challenging GROW in its local market, especially considering that multi-homing to any new platform would likely be low for both applicants and recruiters given the quality advantage GROW has gained from training its algorithms. GROW will have to decide whether to expand beyond the Japanese market, to geographies where the network effects it has built thus far will be less valuable (i.e., most Americans are not applying to Japanese corporates, many American applicants likely do not have many Japanese peers to rate them). As GROW considers expansion, identifying markets where there is not an incumbent seems key if the quality of GROW’s algorithms will not translate to new markets. If GROW considers entering markets where there are incumbents, looking for ones where the incumbents have higher price and cost structures could allow GROW to come in from the bottom of the market (pointing recruiters to its success in Japan), gaining share with the goal of capturing value in the future. Another avenue for growth GROW could consider is the potential to add a third side to its platform: universities are traditionally hungry for data around their job placement and eager to improve their performance — GROW could potentially sell data back to the universities applicants are applying from to help them improve/ tailor their curricula to better outcomes. 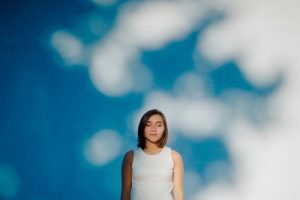 This could create significant value for the recruiter side of its platform as they would be getting better prepared applicants. Additional data from interaction with the universities would also allow GROW to improve its data store (and thus the quality of its algorithms and platform). It will be interesting to see which of these routes GROW chooses, and if it is able to sustain its impressive growth over the past year. 1. Bernstein, Ethan, Paul McKinnon, and Paul Yarabe;GROW: Using Artificial Intelligence to Screen Human Intelligence.&quot; Harvard Business School Case 418-020, August 2017.